Even if I’d lived at my current address longer than five months, it would’ve been unusual to open my mailbox to find what was there on Saturday: a handwritten letter from a former student. 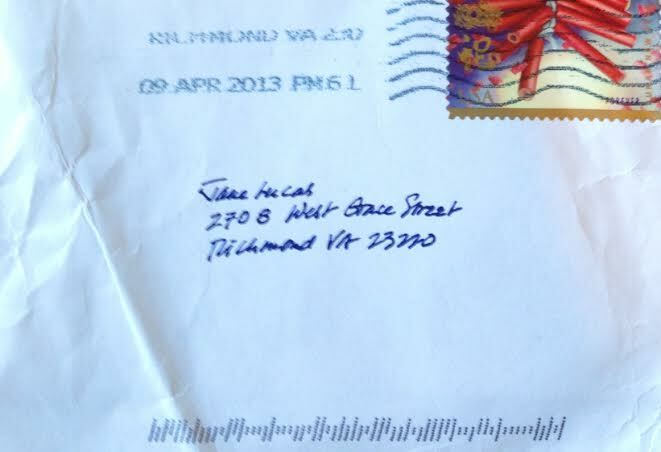 I often hear from former students online, but handwritten snail mail: that’s a rarity. I cradled the envelope with the care I’d give any other endangered species. I started the practice nearly fifteen years ago when I was teaching at Salem College. At the end of that school year, I received a note from a student’s mother, thanking me for the written account of her daughter’s freshman year–something she wouldn’t have had, she said, if not for all that required letter-writing. Not all students write to their families, but many do. 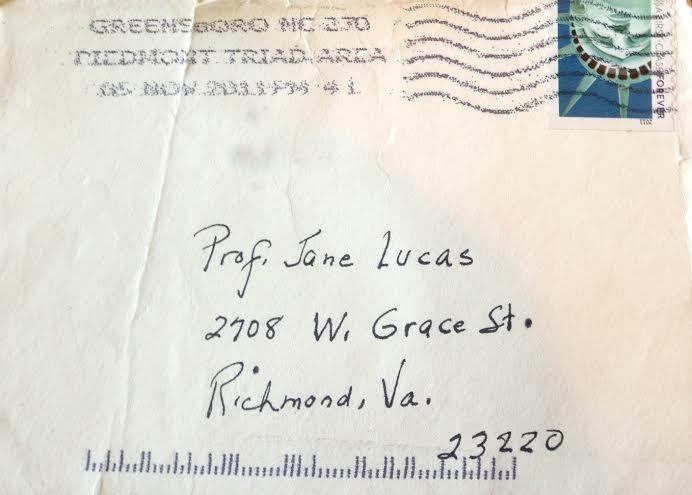 One of my students at VCU reported that the letters he’d written home were all posted on the door of the refrigerator. 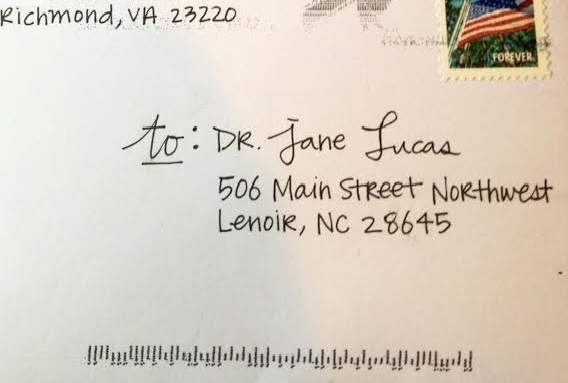 Earlier this month when my students at Lenoir-Rhyne submitted their last letters of the semester, one student handed me a stack of envelopes, each addressed to one of the teachers at her high school. At the end of her first semester of college, she was writing to say thank you. I don’t write much snail mail, myself, though I do write a letter once a month along with my students. And Monday I wrote back to my former student–the one whose letter arrived on Saturday. I should write more letters, considering how much some of the ones I’ve received have meant to me. A note from one of my teachers five months before her death and one from another teacher–still very much alive and well–encouraging me to continue my writing, are ones I keep in my briefcase. Having them there makes me feel as if the women who wrote them are walking with me into the classroom. And in a sense they are–their words invigorate my teaching. Sometimes at the end of a difficult day, I pull one from my briefcase and reread it. This semester, I took UNIV 200 in which I wrote a 15-page research paper on the importance of handwritten letters when compared to email messages. I had a great experience researching articles and now have the confidence to write a lengthy paper. I hope your first semester at your new teaching institution has been great. Have a very Merry Christmas and a happy New Year. Thanks, Esther. Your handwritten words have made the season brighter.